service by using it.There have more advantage of it. Unfortunately bloggers not provide this feature yet. this is more easy than it. Lets give a try. First Of all you have to go http://www.foxyform.com/ Now you will get a field like below. you can choose same color like your blog background. 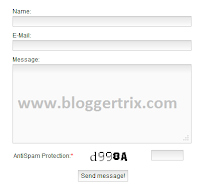 In this field you have to add email that you ever use to contact us page. person who contact via contact us page, that massage will send in to this email address. Now you will get a HTML code like below. 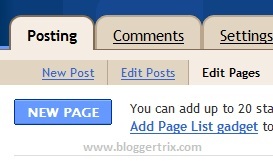 How to add it to your blog. Now paste code where you get earlier and add Any title you want. Click Publish Post you are done. Thank you very much for this post. this is really very informative and useful post for me. i was planning to add contact form but could not get time to search for this. thanks for sharing resource with us. how to contact page in all end post like post a comment ? also i want know when we copy and poste html code from other blog to himself blog in blogger post what is effect on google adsense ? This article is really great.. but I tried to create a test email.. till now, I still don't get it? Hmmm..